Changes: Compatibility with Piwigo 2.9. "summarized" column is no longer used. It has been removed from SQL requests in the plugin. 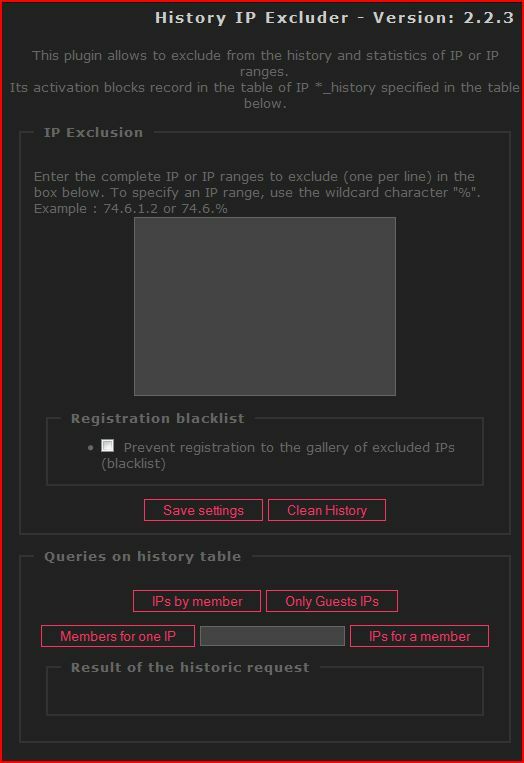 About: This plugin enables exclusion of a single IP address or a range of IP addresses in Piwigo's history table, to purge the table, and to build a black list of undesired IP addresses.